From separate videos and audio files to a complete customized video created by you. Wondershare Video editor is similar to iMovie but for Windoes OS or Adobe Premiere but more simple so you can edit your own videos easily and get the best results in less time. You can start editing your videos, making transitions between clips, adding audio files and applying transition effects between clips so that you can create your own videos. There are several effects that you can apply to your photographs and videos such as cropping, rotating your videos, adding captions and applying effects and transitions. Wondershare Video Editor will burn your final edited video to DVD disc or you can convert your video to other formats so that you can watch it on your apple devices (iPad, iPhone or iPod) or even share your edited video on Facebook or YouTube. To begin the edit of your movie simply click on Import or drag & drop you video file in the main window and you are good to go. The next task is to be creative by using the transitions and effects in the program. Your video files can be customized with the help of cut, trim, split, merge and rotate commands making sure you always get what you need in terms of video editing. The end-­‐file can be enhanced by using background music, scene transitions and even video special effects. 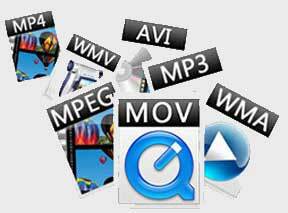 The software application can interpret popular formats like AVI, MOV, MP4, MPG, MKV, FLV and audio formats like AAC, APE, AIF, MP3, OGG, WMA. Video, audio and background music can be edited separately thanks to the three timeline tracks. From the timeline, the video can be split, cut, merged, cropped or rotated to suit the user's creation requirements. With Wondershare Video Editor adjusting video brightness, color and saturation is very easy. If needed, general parameters like resolution, encoder and bit rate can be adjusted in the creation process. The program is able to save your creation in various formats so further use is made possible that way. Wondershare Video Editor proved to deliver fast ending video results. The aim of this software is to deliver your output as fast as possible, In addition to fast process of editing your videos, Wondershare Video Editor can burn your final output very fast due to the multi-core processing which keep your PC running smoothly during the conversion/burning of your edited video. Wondershare Video Editor has video converting capabilities so videos can be converted to other popular formats and then saved securely on your personal hard drive. 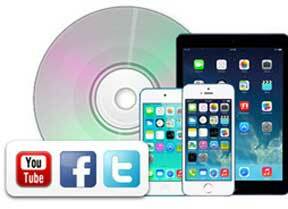 The output video files can be delivered on popular portable devices such as iPhone, iPad, iPod or PSP. Videos captured by DV cameras and camcorders or generated by portable devices can be quickly integrated into the program. Wondershare Video Editor can deliver your project in any format you want. You can burn your final video to DVD, or just convert it to YouTube. You can also make it sharable on Facebook, and Twitter so that you can share your videos on your social network. 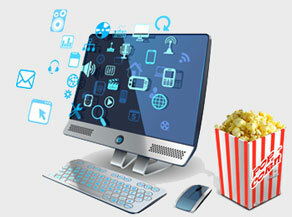 Moreover, you can make your project applicable to be watched on any apple device such as iPad, iPhone or iPod.